New Tab with images of Donald Trump`s hair. These funny moments will help you enjoy your browsing experience. Donald Trump is the 45th and current President of the United States. Trump’s distinctive hairstyle has always been the subject of speculation, so here we have some interesting moments captured. “If it rains, I’ll take off my hat, and I’ll prove once and for all that it’s mine,” said Trump during a speech in Alabama. A month earlier the then-candidate had promised to change his signature hairstyle if elected. The current president of The United States of America is a really interesting character based on the fact that many people love him and support his work and his beliefs, and on the other side, large quantities of people despise him and hate every breath he takes. Although, one thing that’s not discussable is that absolutely nobody likes his hair. 6. It appears to be a combover, but, incredibly, it doesn’t arrive from any direction. You cannot stare at The Donald’s hair very long. It’s like staring into the sun. 11. This multidirectional combover is so complex that even engineers marvel at its structure. Resistant to wind and rain, NASA has looked at it as a possible Shuttle Shield. 15. It is a flourish. On top, it flows forward to the forehead where it does a fine, serpentine U-turn, while along the sides it sweeps over the tops of his ears like rows of cirrus clouds. This funny New Tab has interesting features. 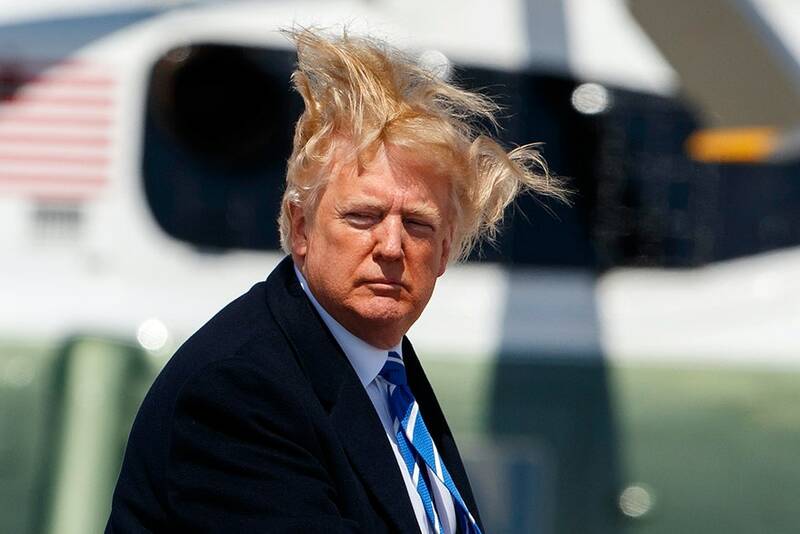 Enjoy looking at pictures of Trump’s hairpiece fluttering in the wind in a flirtatious manner.